San Diego County is under a high wind warning and Cal Fire has increased its staffing in response. The National Weather Service (NWS) issued the warning Tuesday through Thursday, forecasting gusts of 55 mph along with low humidity. NBC 7's Meterologist Jodi Kodesh says the winds will make driving extremely difficult and could result in downed power lines. "When we get these wind events trees fall down all the time, the fence guys are always in business because fences blow down," said Alpine resident Toni Mitman. "It gets a little gnarly over here, especially along the I-8 corridor." 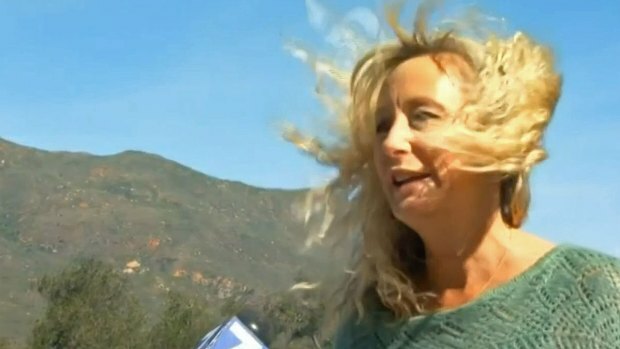 I-8 Corridor Winds Are "Gnarly"
NBC 7 talks with Toni Mitman of Alpine about the strength of the winds that swept through her community on Tuesday, April 29. The Lake Henshaw Resort suspended boats and fishing on the lake because of the high winds. Those conditions present a danger for residents living in areas of San Diego County prone to wildfires. At the Cal Fire headquarters in Valley Center, one battalion chief told NBC 7 there have been no reports of damage. Crews there are always on alert when the county has warmer, windy weather but they don't have extra crews out Tuesday because there is no red flag warning. 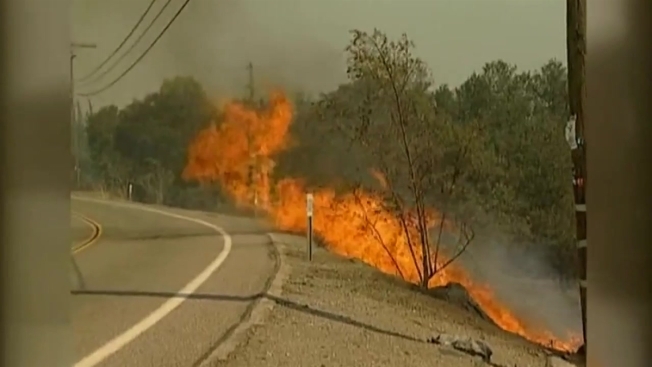 The state’s fire agency is staffing additional fire engines, bulldozers, fire crews, and aircraft under a Fire Weather Watch in place for many areas of Southern California, according to Cal Fire Director Ken Pimlott. “The drought has set the stage for a very dry and potentially dangerous fire season,” Pimlott said in a news release. "Fire season never really ended last year in Southern California and these strong winds will only elevate the current fire risk." However, residents are warned to stay on top of wildfire prevention. Under the high wind warning, homeowners should not mow or weed dry grass. Campers should avoid using campfires. Gun owners should go target shooting only in approved areas and never use metal targets. Also, residents should be extra careful with all powered equipment outdoors including chainsaws, tractors and welders. NBC 7 has learned San Diego Gas and Electric has no plans to preemptively cut power. SDG&E says they are monitoring, but there are no red flag warnings at this time.